At Stouffville Garage Door Repair we service the best automatic door opener brands in the business. We will try to come out the same day to provide outstanding service on brands like Genie, Chamberlain, Liftmaster and Sears. Craftsman and Marantec fall under our expertise as well. There are many people out there that consider performing their own garage door opener service, but we highly discourage this choice of action. 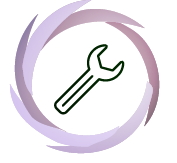 Many warranties are voided unless service is provided by a professional. These openers appear small, but they are heavy and require the attention of a trained technician. 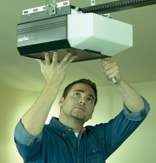 When you want garage door opener installation done right you have to call a service provider you can trust. We employ seasoned veterans with years of proven experience and training. Stouffville Garage Door Repair does the job by the book as per manufacturer’s recommendations. Our experts do not take shortcuts that would impair quality performance down the road. There is only one way to provide installation service and that is the right way. We offer honest garage door openers repair in Stouffville, ON. By honest we mean we do not stuff your invoice with hidden charges to make an extra buck. We will not try to sell you services you do not need. Our technicians will be straight forward and to the point with the issues that exist and then we will provide cost effective solutions that meet your best interests. If the unit is beyond repair we will offer garage door opener replacement service. Every opener is driven by a well designed garage door motor. The key drive and chain drive motors are the least expensive, but they also make more noise. The belt drive offers the quietest operation, but they also cost more. In either case we offer outstanding service on all 3 types. 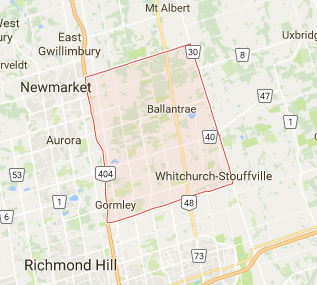 Get in contact with Garage Door Repair Stouffville for the best all around opener service.